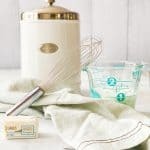 February 5, 2019 By Lori 2 Comments THIS POST MAY CONTAIN AFFILIATE LINKS. PLEASE READ MY DISCLOSURE HERE. Part of my HowTUES-day series, making a basic béchamel or white sauce is the key to a luscious mac ‘n cheese or baked potato soup. Once you have this technique in your back pocket, you’ve unlocked a treasure trove of comfort, my friend. There are so many jarred sauces and soups in the grocery store and while many food manufacturers are making a big effort to include only ingredients that we, the consumers, recognize (which btw is the industry’s definition of “clean labeling”), it really is easy to make this stuff yourself from ingredients you likely have in your pantry or fridge. I promise you. 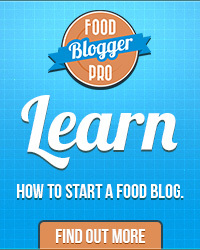 It’s one of the reasons I started this blog. For the cost of a few ingredients like butter, flour, milk or chicken broth, you have the start of so much goodness. Think chicken pot pie, macaroni and cheese, and clam chowder. 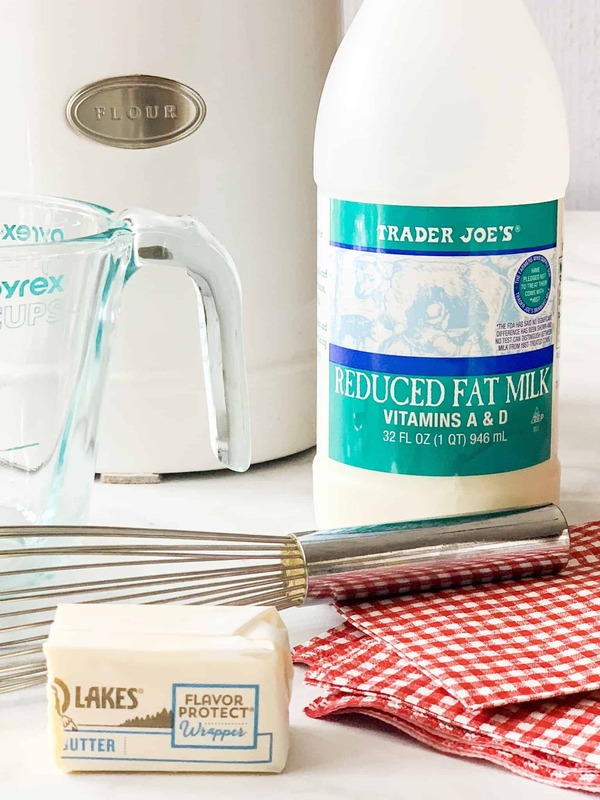 And you can also make healthier versions of each of those using non-dairy milks or gluten-free thickeners while adding fresh greens and vegetables to give a nutrient boost for growing kiddos or to help manage a growing waistline ?. This basic technique of combining fat, thickeners, liquids and heat into a sauce is your gateway to something good. Béchamel (pronounced “bay-sha-MEL” – you know – like the guy who owned the diner with Alice and Flo) is a white sauce that begins with a roux (“roo” – like Eeyore, Tigger Piglet and…). 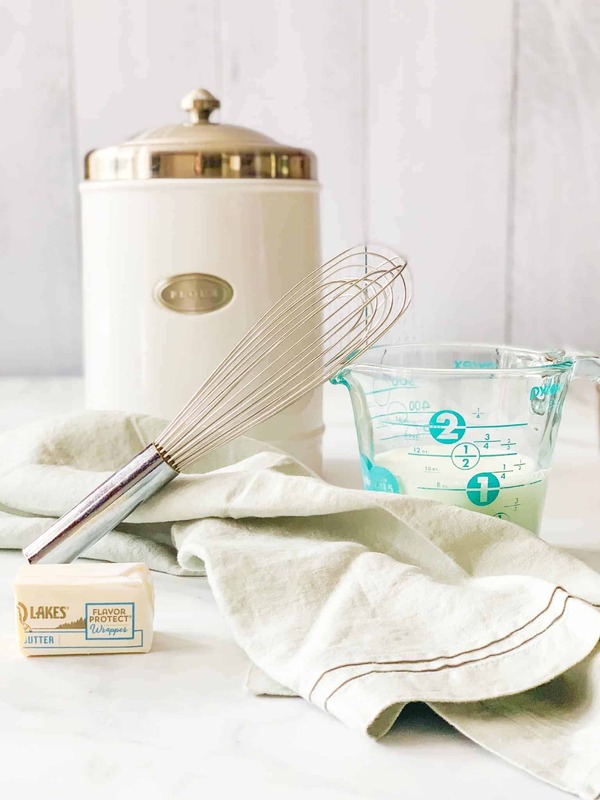 A roux is usually equal parts of fat and thickener – in this case, butter and flour. The roux is cooked over medium heat for a couple of minutes until the flour taste is cooked out and the roux starts to get all sun-tanny at which point, the liquid (milk) is added while being stirred to avoid lumps. Once the milk starts to boil, the heat is lowered and the sauce is cooked until it all marries into a creamy, rich bath ready to coat whatever you plan to toss in it. Pasta (for the aforementioned mac ‘n cheese), potatoes (au gratin)- whatever your endgame is- they take very kindly to bechamel and the beauty is it all can happen pretty quickly or even earlier in the day making dinner something special very quickly. I’ve also done a little testing (and if you follow me on Instagram or Facebook, you might have seen my story/highlights) on making a gluten/dairy-free white sauce. Made easy with any number of non-dairy milk alternatives (I used a pea protein milk by Ripple – this isn’t sponsored just my opinion), I found combining the pea protein milk with a roux from olive oil + brown rice flour to be a really nice option. The white sauce came together very nicely and tasted like it would make a great canvas for any herbs, non-dairy cheeses or seasonings. 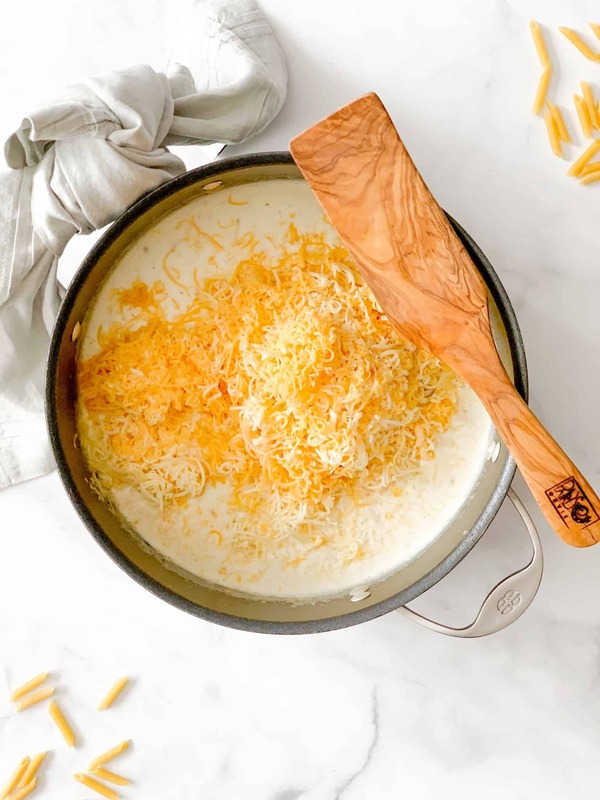 Let me know what favorite recipes you have that call on a béchamel and stay tuned for the mac ‘n cheese recipe that you’ll be eating right out of the baking dish. if using for a mac n’cheese or au gratin recipe, a triple recipe will make enough for 1 lb of pasta. layer as one sauce component in your favorite lasagna recipe. MAKING A BASIC BÉCHAMEL OR WHITE SAUCE IS THE KEY TO A LUSCIOUS MAC 'N CHEESE OR BAKED POTATO SOUP. ONCE YOU HAVE THIS TECHNIQUE IN YOUR BACK POCKET, YOU'VE UNLOCKED A TREASURE TROVE OF COMFORT. Over medium heat, start melting butter in medium saucepan. Add flour stirring with a whisk continuously until a thick paste forms. Continue cooking for about 2-3 minutes until lightly browned and flour taste is cooked off. Carefully add milk while stirring with a whisk. Bring to a low boil and then lower heat to medium low. Cook stirring often until sauce has thickened and coats the back of a metal spoon evenly. Remove from heat to add cheeses if adding. Season with salt and pepper to taste. this recipe makes 1 1/2 cups of bÉchamel. I had a package of gnocchi and made this sauce with sauteed butternut squash. It was so easy and delicious. If you saw how lazy a cook I am, you would see this as a step up in my culinary toolbox. So happy to hear that Barb! Glad you liked it- and I’m all for easy too. Life is too busy so dinner shouldn’t have to be! ?